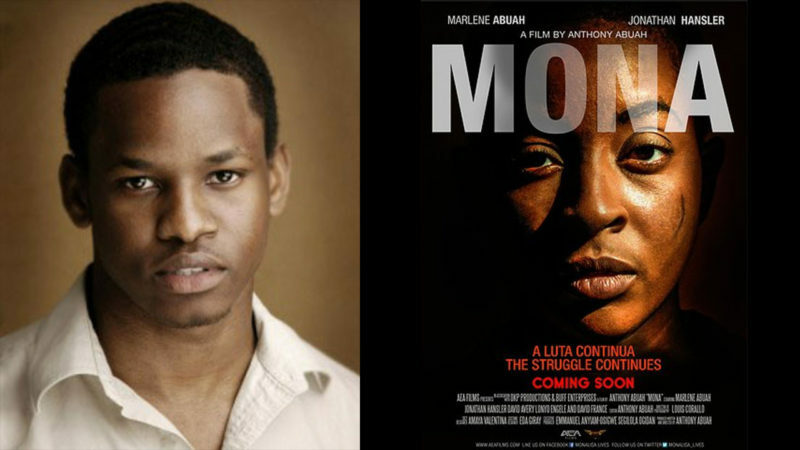 With the UK premier screening only a day away, Nellie Tandoh speaks with Anthony Abuah on his most recent piece Mona, the interest behind the political event that inspired the film and why the time is now for a political psychological thriller. 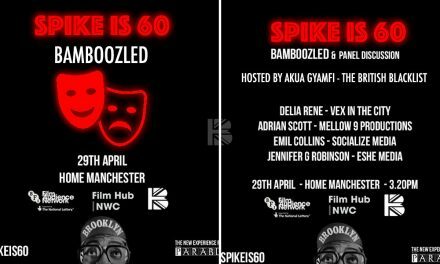 So tell our readers about Anthony Abuah: the person, the actor and the writer? I don’t know how to answer that question. Well, I consider myself an African above everything. All those things you mentioned, I have a desire to showcase my continent’s history as well as the beauty. In addition to all those things, I’ve written books and plays, but I don’t consider myself all those titles. I’m also a teacher. I teach African History. I started my career as an actor, but quickly realised that it wasn’t going to work out, due to not having the roles that I would like to do. I’m not a very good acting student either! I started writing plays and did a play in 2009/2010 called Another Biafra, I wrote and acted in it and that was the end of my acting career. It did well and then I started making short films then made my first feature film, Woolwich Boys. [We] produced a couple of films and then did Mona. Acting came first, but what got you interested in going behind the camera? I’ve been writing plays since I was in school, so I didn’t acquire that [interest] on the way; it was something I was always doing. As far as my career goes, I was writing whilst I was acting, but never had the courage to produce. About a decade ago, I took my first ever script to Ashley Walters’ production company and they hated my script. That was the catalyst for me to write my own stuff, to direct and produce too. 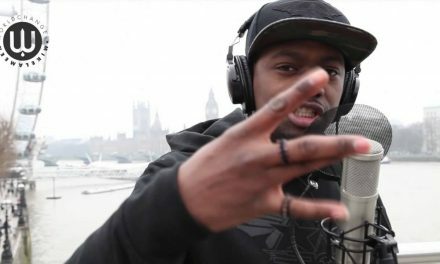 Your filmmaking credits include Woolwich Boys (2012) which looked at culture dynamics, loyalty, financial wealth etc. What inspired you to create such stories? With Woolwich Boys, I loved African culture. I used to be around Woolwich all the time and I’m a fan of the film Goodfellas and I love the banter of Nigerian people in South London. Even with 419 crime, they made it look so cool. So I wanted to try and put that on screen and do it as well as Martin Scorsese. Unfortunately, I did something else, which was OK, but the inspiration came from loving the culture and loving films such as Goodfellas. At a time of political unrest following Brexit, Trump’s presidency, why did you feel the time was now to create a film like Mona? Mona is based on real events; ironically an integral part of the film is Britain’s entry into the European Union. The Portuguese Prime Minister actually came to London, because the common market had just been established, and without spoilers, towards the end of the film that was an eye-opening fact which coincided with why Britain wanted the Prime Minister to come in the first place, despite there being so many protests about him. 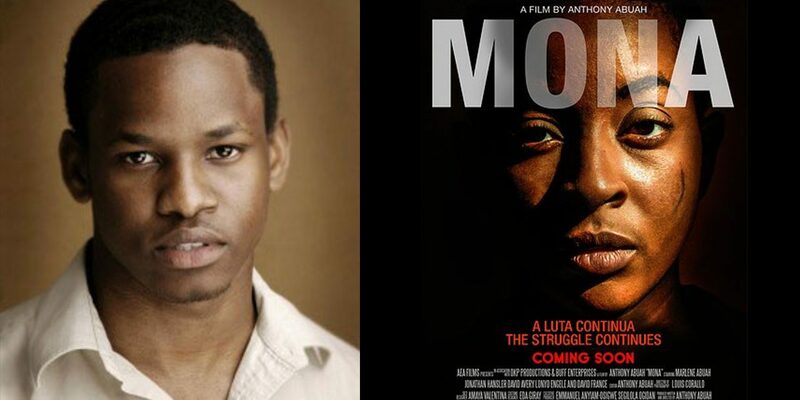 Now the story of Mona the best way I can explain it is that I wanted to make a film about great Guinea-Bissau revolutionaries. There was a guy, Amílcar Cabral, who fought to try and get the Portuguese out of Guinea-Bissau and the initial script I had written was about his life. But that would have meant going to Africa, New Guinea, and we didn’t have the money. I’m a researcher; I love researching and I managed to find a whole bunch of articles from The Times newspaper about this Portuguese Prime Minister’s visit. I thought OK, Amílcar Cabral was murdered in 1972, a year before the film takes place. I put myself in that position and thought if I was living at that time and was a revolutionary, what would I have done? I would have probably tried to kill him. There are many political events that have happened in the past few years, why was this particular Portuguese Prime Minister’s visit of interest to you? 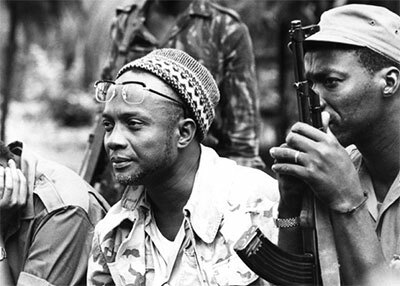 Amílcar Cabral from Guinea-Bissau was fighting the Portuguese occupation, at the same time other leaders were fighting Portuguese colonialism in Mozambique and Angola. Cabral’s story linked to other parts of Africa and when you watch the film, the Prime Minister arrives in London after The Times has leaked a story that 400 innocent civilians were murdered by the Portuguese Army in Mozambique meanwhile protests saying this man shouldn’t have come are happening in London. Portugal was also under a dictatorship at the time under Salazar, the Prime Minister took over when Salazar died. Every layer of the film has to do with Portuguese colonialism, from the Amílcar Cabral story to the fact that Mona’s character comes from Guinea-Bissau, from The Times reporting on the atrocities that was happening in Mozambique. A lot of dialogue that you will hear from the politicians in the film are word for word quotes and have been documented as them saying it, with even the voice over at the beginning being real people’s words. I didn’t veer off the story; I found the story and linked it to my agenda for the film. It’s interesting because I don’t know anybody who knows about this. 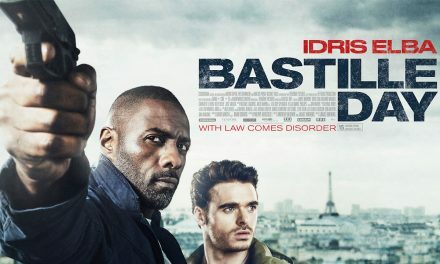 We went to quite a few film festivals on the continent last year, and it was people of a certain age who had lived through this, with a certain intellect, pan-African people who are into Frantz Fanon and all these type of writers – they were aware of the film and were instantly appreciative of it. But 95% of the people hadn’t a clue and this is on the continent. We went to Egypt, Morocco, Burundi, all sorts of places and none of these people knew apart from those of a certain age and political movement. We screened in Belgium, Rome and Amsterdam and England – this will be the first screening- but people still don’t know about this stuff. The aim of what I do is to try and educate. I’m a teacher and I think that’s why out of all the things you can call me, I think that’s more relatable to me. We are in a digital generation where it is so easy to speak your mind and even have access to ‘tweet’ the Prime Minister or President, how do you think the Mona story would have played out if it had taken place today? Mona couldn’t have existed. This was a time where leaders of opposition were getting assassinated; there were dictatorships all over the place. It was a different time – you could control the media and shut things down. For example in China they control their social media and people can’t readily access things. That was the Western world in the 70-80s. Mona would have had to be part of an Al-Qaeda type organisation, in terms of being religious about trying to take down the Portuguese government. Portugal is the most backwards country in Europe with no disrespect to them. Again, not my quote but they relied heavily on weapons of NATO and the U.S. to back them. The money that they got to fund their colonial wars came directly from the USA and the people live in abject poverty. Now you have more Portuguese immigrants in North Africa and parts of Southern Africa than you have of black people in Portugal! Things are very different now. The money is frozen up; they are part of the EU but then again are draining the EU, so Mona existing now… she absolutely wouldn’t! No way! (laughs). Mona is known as a political psychological thriller – will audiences be left with questions unanswered or will they leave feeling that they have a firm understanding of what happened during this period? I don’t know… I don’t want to say what people should think. I think we left the ending slightly ambiguous. The tagline of the film is ‘The Struggle Continues’, which is a very famous line. We tried to keep this whole concept that this is still going on now. Guinea-Bissau is now a drug haven; Mozambique and Angola went into decades of civil war and pretty much cleaned up in the last ten years, so these people are still living with the same problems. Keeping in mind that Africa is still being colonised across the board apart from the Portuguese places, by multinational companies – the iPhones we use and so on… all these things consumed here comes directly from central Africa, but go to those places and they are dirt poor. We have puppet leaders who unfortunately are made to believe that they have power because they have US backing and sadly this is a situation that is still going on. I hope people will leave the cinema [hopefully] wanting to go and do some research and also appreciate that it’s not easy trying to make a film like this. I don’t want to put myself down but certainly there was a lot more that I would love to do if I had the means to do them, but I make movies for myself. If I want to see something, I will try and make it. From what I’ve seen, people really love the film and appreciate it and some people just don’t get it. I’m very mindful that can happen, but I’m hoping at the very least they will be interested in finding out more. If there were anything you could have changed about the film, what would it have been? I don’t think there is anything I would have changed, because then that’s saying that I don’t like what I have. I appreciate everything I’ve made. If I could go back and do it again, I would have made a completely different film. The film I’ve made, which we shot in 2015, I spent 2012-2014 writing the script. I’m keeping in mind that I am growing as an individual as well and I’m very happy and proud of it. It’s like kids – I’ve got two kids. I love them to death, but there are certain things I dislike about them and nothing I can do about it. I made the film for myself, so if I’m happy, I’m happy and I just hope everyone else is happy too. How will Mona appeal to both audiences younger and older? I watched a lot of Alfred Hitchcock trying to make this film, so the taste of the film is not Fast and the Furious with 50,000 shots in one minute, but with the pacing I’m hoping that you’re able to see that there is a psychological aspect to the film, action, fighting, shooting, interesting stuff that would appeal to the younger people. To the older people there’s a lot of political talk and of all races; the majority of the characters happen to be white even though it’s an African film, based on real people. So compared to most films that come in now, this does appeal to a much wider dynamic of people. It’s easy for it to go over your head if you’re impatient, but at the same time once you’ve settled down, become invested in the characters and can identify with them, you’ll appreciate it I hope. If there were one piece of advice you’d like to give to those wanting to write/act/produce, what would it be? Only advice I can give to anybody is don’t listen to anybody. If you want to do something, just do it. There’s nobody on this earth that can tell you the day you’re going to die, nobody could have predicted when you were going to be born, so they have no right to tell you how you should live your life. I felt very anxious about whether this was how I was supposed to do it. When you get offended, and you will, you realise that you either do it or you stop and when you stop, you quickly realise that you’re pandering to this person’s insecurities because it is an insecurity to try and tell somebody don’t do something. If you have a little bit of bravery in you, you just say ‘eff you’, excuse my French, and you just carry on and do it. I firmly believe that is the only way, because if you fail, you fail but you would have done it and not regretted it. I certainly would not discourage anyone from doing anything.